John McEnroe & Tatum O'Neal, 1985. October 31 to December 12, 2009. As an iconic member of the pop movement of the 1960's, Warhol gained fame and recognition for his depiction of recognizable objects and faces, from brand names to bananas to faces of the rich, famous, and powerful. In 1977, Richard Weisman, an art collector and a friend of Warhol's, commissioned a series of paintings of ten great sports figures of the era, now known as the "Athlete Series". The group of athletes was selected by Mr. Weisman, and included stars of a variety of sports: Muhammad Ali (boxing), Pelé (soccer), Dorothy Hamill (figure skating), Tom Seaver (baseball), Jack Nicklaus (golf), O.J. Simpson (football), Chris Evert (tennis), Willie Shoemaker (horse racing), Rod Gilbert (ice hockey, NY Rangers), and Kareem Abdul-Jabbar (basketball). Four additional sports portraits taken later are also included in the show – Ron Duguay, John McEnroe (with then-wife Tatum O'Neill), Vitas Gerulaitis, and Wayne Gretzky. While Warhol may not have selected the ten athletes for the series, their status as champions in their respective sports, with faces and names that are recognizable decades later, coincides with Warhol's interest in images of celebrity and greatness. Taken with Warhol's favored "Big Shot" Polaroid Camera, these images were used by Warhol to be silkscreened on to canvas as the basis of each painting. This show provides a look at this process by displaying three different takes from each sitting, shedding light on Warhol's willingness to experiment and interact with his subject within his planned conception of the final image. For this reason each Polaroid is unique and different and there are only three complete sets of the original 10 athletes. 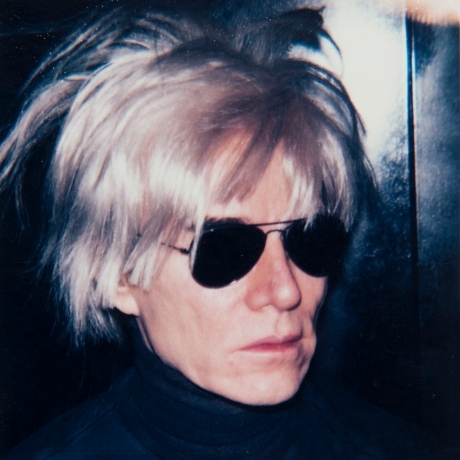 In recent years, Warhol's Polaroids have gained attention and respect in exhibitions and books, both for their centrality to his portrait practice and as works in their own right. While Warhol is not best known as a photographer, he loved the medium, and it was an apt one for the artist due to its repetitive, mechanical nature and its ability to confer a sense of star-power on its subjects. Proving that the simplest tools are no impediment to creativity, Warhol's Polaroids of athletes are both a celebration of greatness and an intriguing look at the cleverness behind the façade Warhol so often used to disguise the intelligence and innovation of his work.